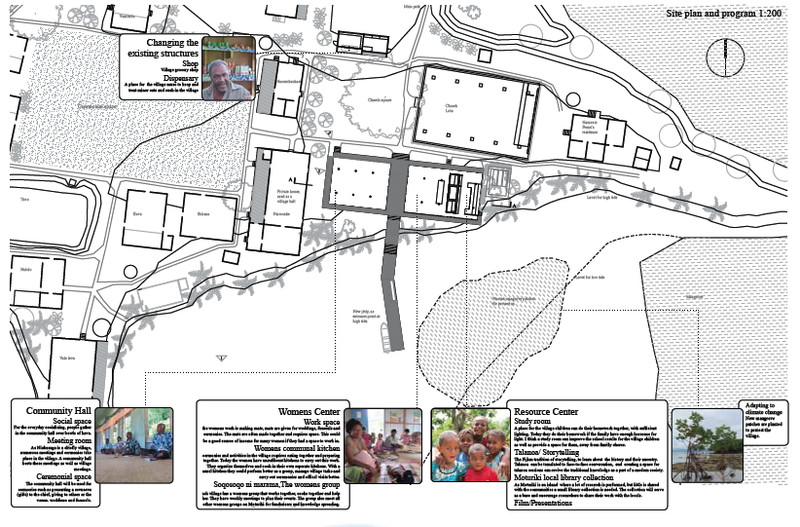 What inherent possibilities reside in the rural Fijian community? 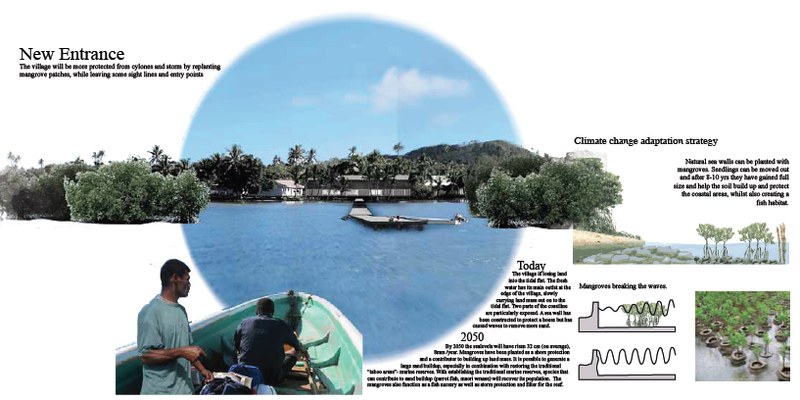 With a basis in the specific Fijian context, can the concept of sustainable rural Development be redefined? 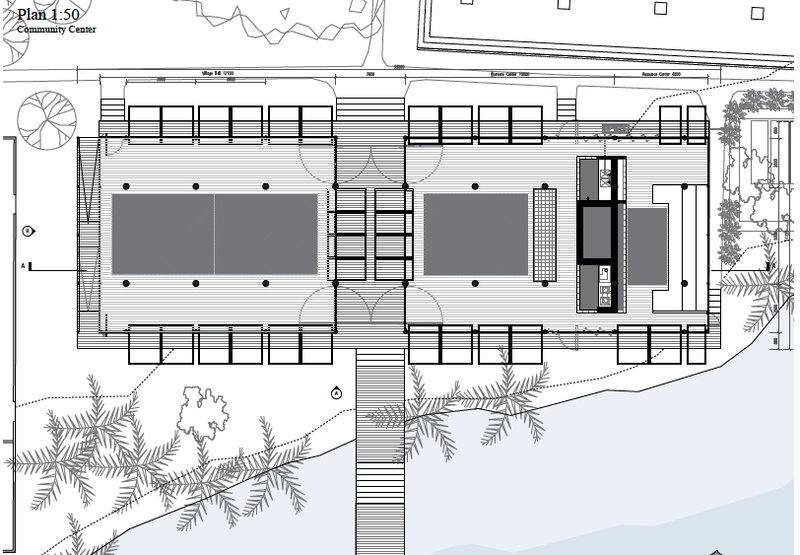 Beyond development is a study to discuss development in a rural setting, such as Niubasaga. How can their needs for a desirable future be met? This study aims to recognize and investigate Fijian spatial relations, it aims to relate to the communal culture and strengthen these networks coherent with their culture, whilst discussing additions to improve the standard of living. The intent is to utilise these social relations as a strength, and to demonstrate how indigenous cultures can continue to relate to its environment, maintain resources in development. Niubasaga village has needs to further develop their village, currently there are no electricity, no running water and climate change related threats are increasing. Increased pollution threatens resources and increase the risk of spreading diseases. 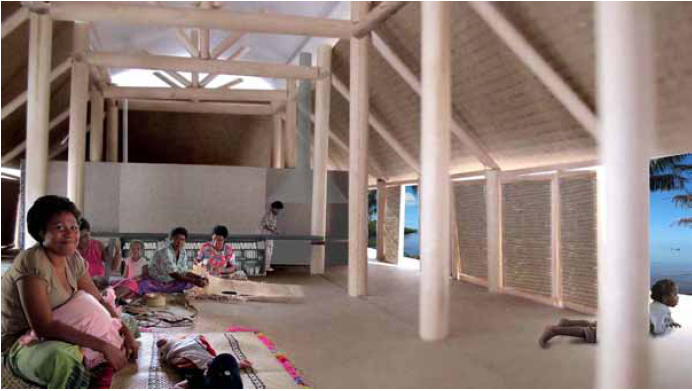 In this study, sensible solutions are proposed, addressing the needs of the villagers whilst considering the cultural assets of Niubasaga. 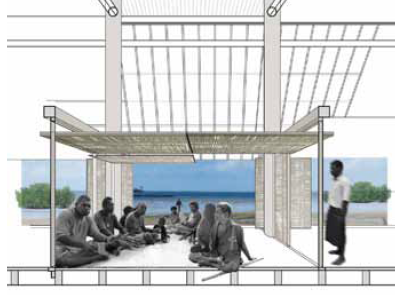 The intimate relation between the Fijians and the environment has been integrated into the proposal, utilizing local materials for proposed structures, incorporate traditional knowledge into the designs and create a platform for the community to develop their own responsible development.